Does terrorism work, meaning, does it achieve its perpetrators' objectives? With terror attacks having become a routine and nearly daily occurrence, especially in Iraq, Afghanistan, and Pakistan, the conventional wisdom holds that terrorism works very well. For example, the late Ehud Sprinzak of the Hebrew University ascribed the prevalence of suicide terrorism to its "gruesome effectiveness." Robert Pape of the University of Chicago argues that suicide terrorism is growing "because terrorists have learned that it pays." Harvard law professor Alan M. Dershowitz titled one of his books Why Terrorism Works. But Max Abrahms, a fellow at Stanford University, disputes this conclusion, noting that they focus narrowly on the well-known but rare terrorist victories – while ignoring the much broader, if more obscure, pattern of terrorism's failures. To remedy this deficiency, Abrahms took a close look at each of the 28 terrorist groups so designated by the U.S. Department of State since 2001 and tallied how many of them achieved its objectives. His study, "Why Terrorism Does Not Work," finds that those 28 groups had 42 different political goals and that they achieved only 3 of those goals, for a measly 7 percent success rate. Those three victories would be: (1) Hezbollah's success at expelling the multinational peacekeepers from Lebanon in 1984, (2) Hezbollah's success at driving Israeli forces out of Lebanon in 1985 and 2000, and (3) the Tamil Tiger's partial success at winning control over areas of Sri Lanka after 1990. That's it. The other 26 groups, from the Abu Nidal Organization and Al-Qaeda and Hamas to Aum Shinriko and Kach and the Shining Path, occasionally achieved limited success but mostly failed completely. Abrahms draws three policy implications from the data. Terrorists find it "extremely difficult to transform or annihilate a country's political system"; those with limited objectives (such as acquiring territory) do better than those with maximalist objectives (such as seeking regime change). Not only is terrorism "an ineffective instrument of coercion, but … its poor success rate is inherent to the tactic of terrorism itself." This lack of success should "ultimately dissuade potential jihadists" from blowing up civilians. This final implication, of frequent failure leading to demoralization, suggests an eventual reduction of terrorism in favor of less violent tactics. Indeed, signs of change are already apparent. 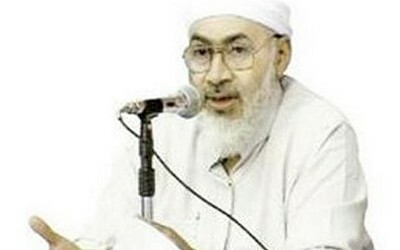 At the elite level, for example the former jihad theorist, Sayyid Imam al-Sharif (a.k.a. Dr. Fadl), now denounces violence: "We are prohibited from committing aggression," he writes, "even if the enemies of Islam do that." On the popular level, the Pew Research Center's 2005 Global Attitudes Project found that "support for suicide bombings and other terrorist acts has fallen in most Muslim-majority nations surveyed" and "so too has confidence in Al Qaeda leader Osama bin Laden." Likewise, a 2007 Program on International Policy Attitudes study found that "Large majorities in all countries oppose attacks against civilians for political purposes and see them as contrary to Islam. … Most respondents … believe that politically-motivated attacks on civilians, such as bombings or assassinations, cannot be justified." On the practical level, terrorist groups are evolving. Several of them – specifically in Algeria, Egypt, and Syria – have dropped violence and now work within the political system. Others have taken on non-violent functions – Hezbollah delivers medical services and Hamas won an election. If Ayatollah Khomeini and Osama bin Laden represent Islamism's first iteration, Hezbollah and Hamas represent a transitional stage, and Turkey's prime minister Recep Tayyip Erdoğan, arguably the world's most influential Islamist, shows the benefits of going legitimate. But if going the political route works so well, why does Islamist violence continue and even expand? Because they are not always practical. Rita Katz of the SITE Intelligence Group explains: "Engaged in a divine struggle, jihadists measure success not by tangible victories in this life but by God's eternal benediction and by rewards received in the hereafter." In the long term, however, Islamists will likely recognize the limits of violence and increasingly pursue their repugnant goals through legitimate ways. Radical Islam's best chance to defeat us lies not in bombings and beheadings but in classrooms, law courts, computer games, television studios, and electoral campaigns.